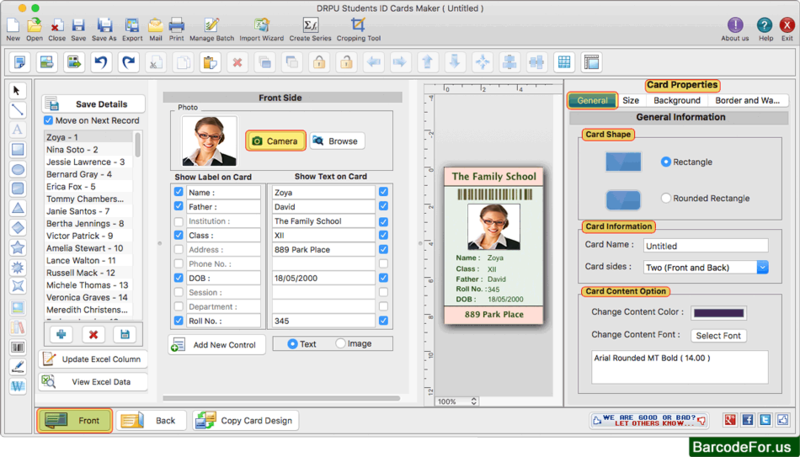 Software has two modules to design and print student ID cards on MAC. 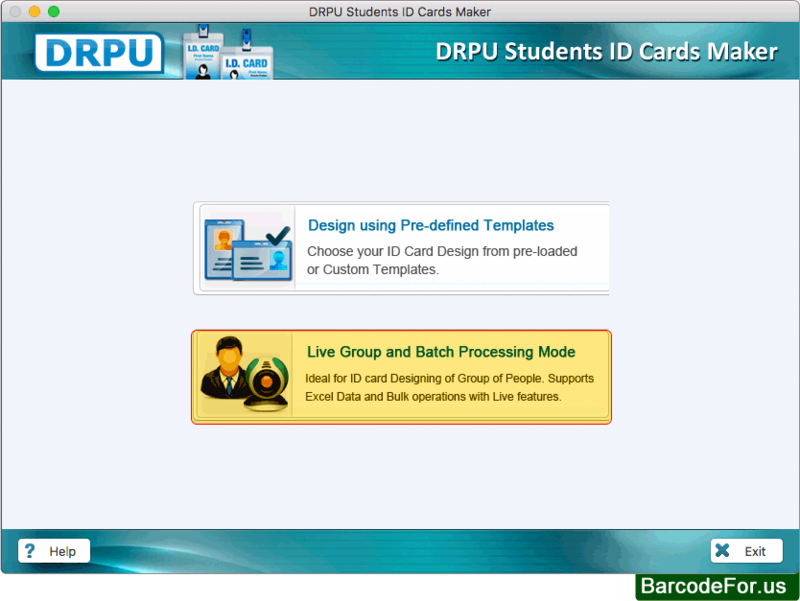 Choose any one module as we have selected Live Group and Batch Processing Mode for demonstration purpose. 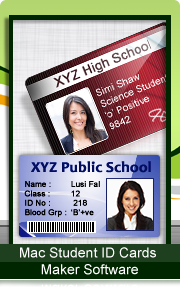 Select any one Student ID Card Design sample from different pre-loaded card design templates. 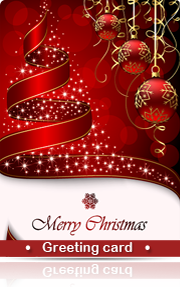 Click on Next button to continue. Here you can see Front side of designed student ID card. Software has option to add barcode, signature, text and image on ID card. 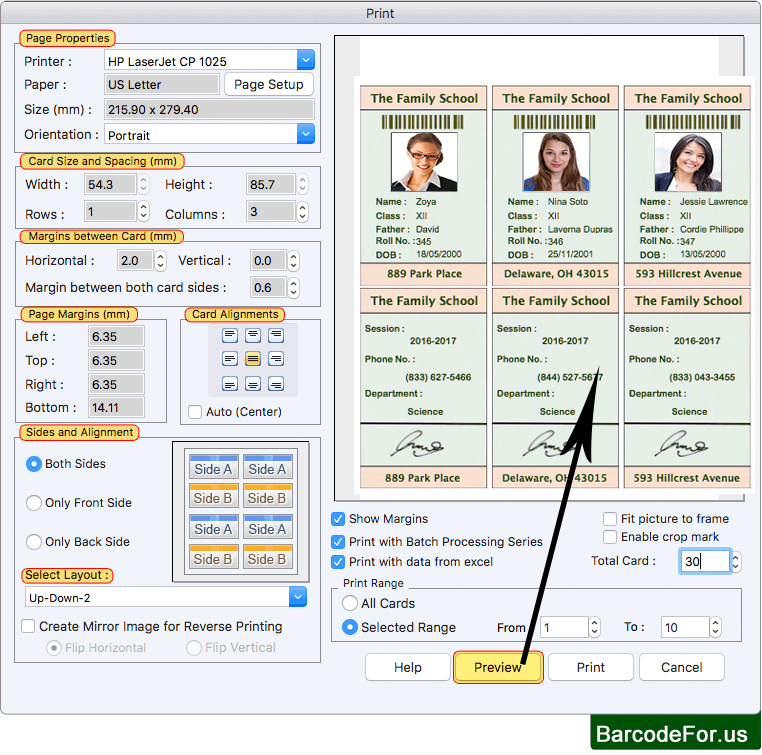 To print multiple student ID cards, adjust various print settings and click on Print button. You can see print preview of ID cards using Preview option.